HGTV returns to Nashville’s CMA Music Festival with its 3,500 sq. 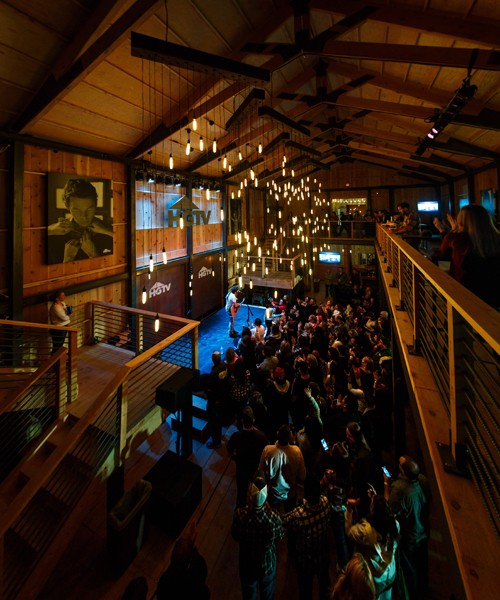 ft. HGTV Lodge with live musical performances by popular artists Keith Urban, Martina McBride, Jake Owen, Cole Swindell, and many more. From Thursday, June 9 to Sunday, June 12 festival-goers also can attend performances and autograph signings with Charles Kelley, Hillary Scott and the Scott Family, Kip Moore, Thompson Square, Frankie Ballard, Old Dominion, Maddie & Tae, Cassadee Pope, Eric Paslay, Jack Ingram, Brandy Clark, Chris Carmack, Aubrie Sellers, Aaron Lewis, Margo Price, and a special ASCAP songwriter’s round. Great American Country’s Suzanne Alexander will serve as the HGTV Lodge emcee during the four-day event. HGTV stars Drew and Jonathan Scott will also be present. *All performances and times subject to change without notice.